You can be surprised how a single chair can make great different in the decor of your home or office. If you have been looking for a good quality chair with straight lines and excellent level of comfort, but you have not been so lucky in your research, then let us help you. In this article, we will suggest you to consider two models of chairs designed by some of the best interior designers in the world. 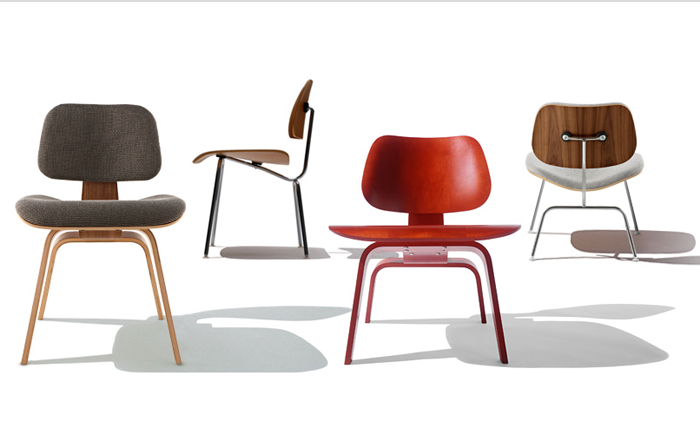 The first model that we would like to recommend is the Eames Eiffel chair. This chair was originally designed by Charles and Ray Eames back in 1948. When it was first made, the Eames Eiffel chair was produced out of metal. The next version was made of fiberglass, while today this chair is made of polypropylene, a material that is easily recyclable. The Eiffel chair can fit in any office or home decor, which is due to its simple lines, clear design and simplicity. The chair offers excellent support due to its revolutionary structure and design. You can check this particular model, as well as the other products of these brilliant designed, we recommend visiting the web site http://www.hermanmiller.com. If you are looking for a simple chair with timeless design, then we recommend you to check the Tolix chairs. Tolix is French producer of industrial style furniture whose work is based on the designs of the work and the designs of Xavier Pauchard. The Tolix chairs are designed by Xavier Pauchard. They come in outdoors and indoors models that differ based on the material of which they are made. Tolix is renowned producer that manufactures unique chairs, benches, armchairs and stools with excellent design and even better comfort. They also produce kid’s products. If you are interested into purchasing Tolix chair or you simply want to take a look at their products, visit their web site. Of all the chairs in the world, most of them are just that; chairs. They serve a purpose, they have a very specific function, and that is it. There are some chairs, however, that are much than that. They can be considered a luxury item, or a symbol of authority, or a status symbol. The Eames molded plywood lounge chair is among that latter group, and has been there for over fifty years. The chairs come from legendary designers Charles and Ray Eames. Since their lounge chair was introduced in the mid-1950s, it has been a status symbol of the elite, whether that elite is wealthy industrialist, a college professor, or an art collector. These chairs are so revered among the elite, in fact, that there is a permanent display at the New York Museum of Modern Art dedicated to them. The now famous Eames plywood lounge chair was introduced to America in 1956 on a home show carried on NBC. After making its appearance, the Herman Miller furniture company began to advertise this chair pretty aggressively in both print and broadcast media. The original ads showed the chairs in a variety of settings, including on a bucolic front porch, in a Victorian style parlor, and even in the middle of a field by itself. Due to the success of the chair, there were lots of imitations and knock offs. To this day there are companies all over the world that make direct copies of this chair, but there are two companies, Herman Miller and Vitra, that produce the real thing. The popularity of the Eames plywood chair is base on its design and comfortability. Believe it or not, the combination of design and comfort is not necessarily a given in the world of design. When the Eames family was envisioning this chair, they wanted something that would be warm and inviting. They accomplished this by making the chair from three curved plywood shells that are glued together. The plywood is covered with rosewood veneer. In the earliest releases of the chair, the zipper on the cushion was brown, but the newer zippers are always black. The seat cushions are made in the same shape as the plywood shell, and the headrest is proportional to the chair back. The market for the Eames molded plywood chair remains strong long after its release. It is still revered for its style and still scene as a symbol of modernity. The same classic design has been in continuous production since its original release. In the United States market, you can expect to pay more than four thousand dollars for the chair with an Ottoman. The selection of leather and veneer will influence the price. For example, leather by Edelman makes the chair a lot more expensive. Vitra is the retailer in Europe, where the chair retails for about double the price, around nine thousand dollars. There is also a strong market among collectors, who are usually willing to pay far greater prices to get unique features. The design of your home and office should reflect your personality and your style. The design should be practical and should fit the space available. If you need to decorate or redecorate your home or office, then you can rely on your decorating skills or you can hire a professional decorator. There are few items in your home and office that are a must, regardless of who is doing the decoration. The Eames aluminum group chair is one of such item. This chair will surely give a sense of style and simplicity to your space, at the same time offering excellent comfort and top of the line quality. Keep on reading to learn something about the history of this chair and where you can find it. The story of the Eames aluminum group chair begins back in 1958. Eero Saarinen and Alexander Girard were hired to design the home of one of the richest people in the USA in that time, the industrialist J. Irwin Miller. They lacked good quality and comfortable chairs, so they decided to ask the best designers at the time Charles and Ray Eames to create comfortable outdoors chair. And, that is how the Eames aluminum group chair was born. 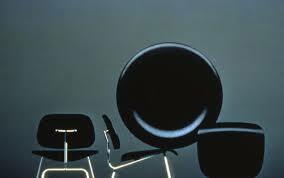 The chairs designed by the Eames became known as the Aluminum Group. The chairs designed by Charles and Ray Eames were innovative and revolutionary in many ways. They were made of cast aluminum, which provided easy mobility and solid support for the body. Instead of bulky seating and supporting materials, they used mesh which was stretched to provide excellent support. The base was in the shape of star with four points. The design of the chair was simple and stylish which is one of the reasons why the design of the chair remained the same until today. The Eames aluminum lounge chair can easily fit in any design of homes and offices. They are slick, stylish and simple, at the same time radiating with simplicity and beauty. The good looks of this chair are not its only advantage it has to offer. It provides excellent support for the body and ergonomic shape that will help you relax. The head rest provides excellent support for your head and neck which is extremely important after a long day spent in front of the computer. The lounge chair comes in several models available, such as leather, vinyl or fabric, so you can incorporate the chair in the design of your home or office easily. Regardless whether you need Eames century modern typographic services or you need Eames aluminum group side chair for your home or office, then you know that you are purchasing quality. The timeless design of the Eames aluminum group side chair will surely fit in any decor and will turn your conference hall or dining table into a stylish and comfortable place. Originally designed as outdoor chair, the side chair is still attractive due to its clear lines, simplicity, style and comfort.